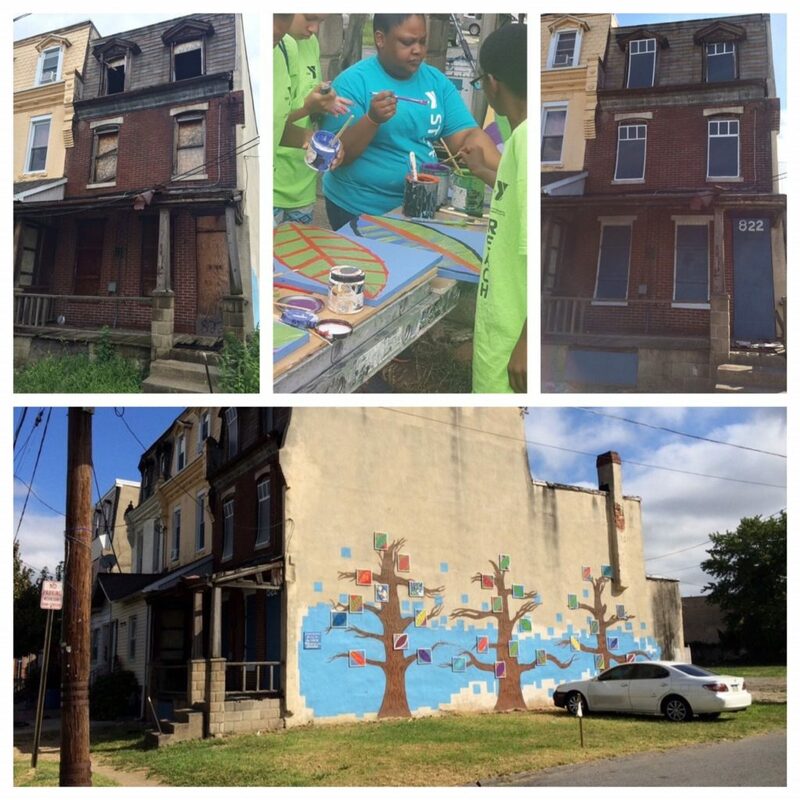 In the summer of 2017, through the Decorative Board Up program, CLHI worked with The Neighborhood Foundation, the Camden Community Development Association, and the YMCA of Burlington and Camden Counties to host a community art project to transform a blighted abandoned house at N. 6th and Grant Streets from eyesore-to-asset. 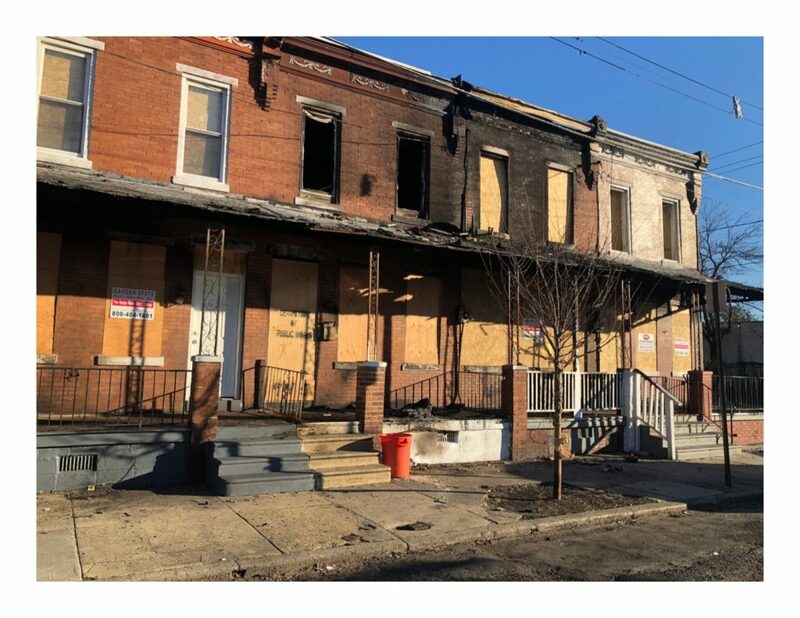 With wide-open windows and traces of graffiti from years past, the vacant home on N. 6th Street was in desperate need of love and care. 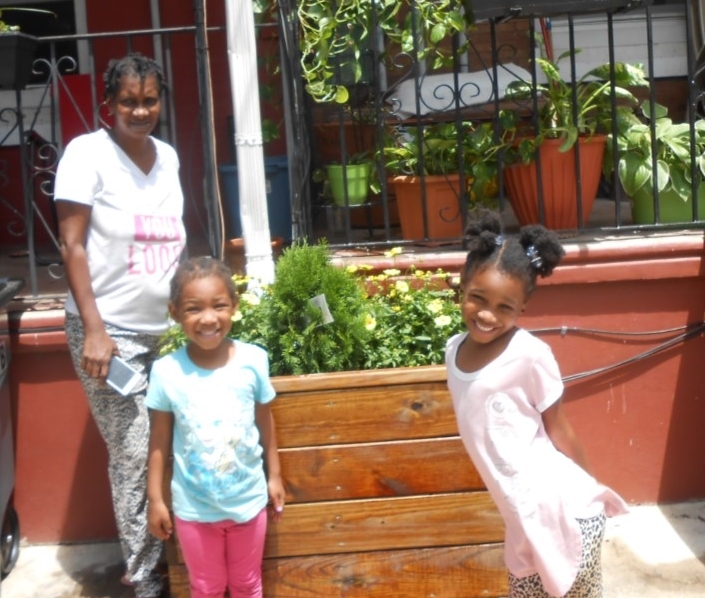 First, our Decorative Board Up Crew safely boarded the windows and doors (in the front and back of the property). 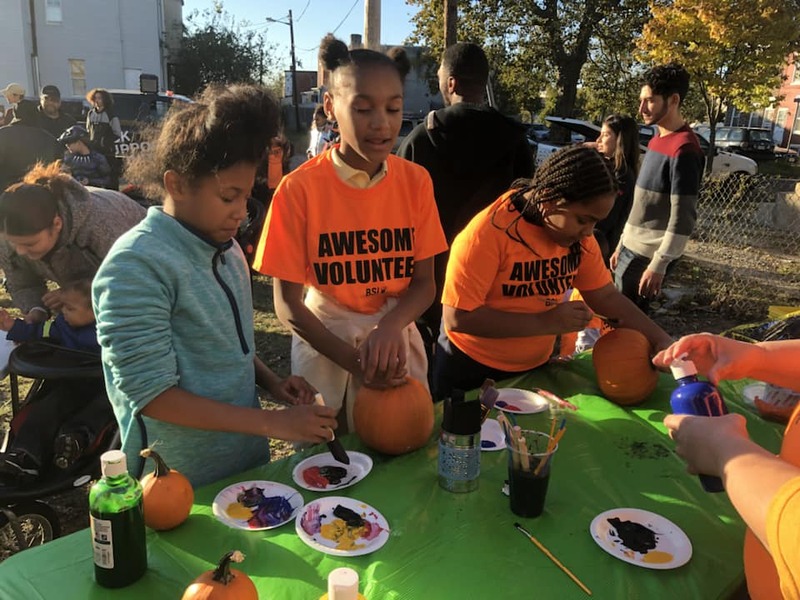 Then, 33 youth from the YMCA’s REACH Program activated an adjacent vacant lot as an outdoor art studio, painting over 30 colorful leaves representing positive growth and change. 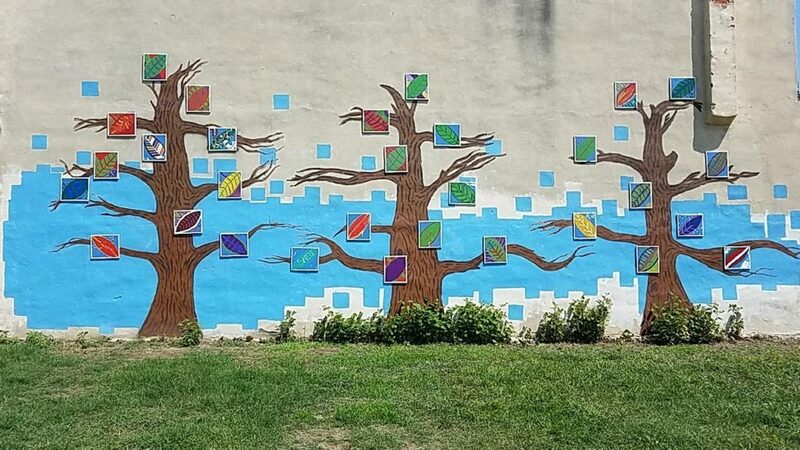 The Decorative Board Up Crew and Chicago artist Chris Toefer of The Neighborhood Foundation installed the leaves on the side of the building, covering the traces of graffiti, and leaving the community with a beautiful mural to enjoy.